Once again, the Nazi forces and paid amateur mercenaries are trapped somewhere in Devaltsevo, half of the entire Ukrainian combatants are currently squeezed within that small cauldron. Kiev’s European backers are said to be reluctant to send additional arms and money, after all it’s just about business and Kiev may not be able to pay them anytime soon. This is happening while Greece is aiming for a “debt haircut” and a possible decoupling from the EU itself, and the Europeans economic sanctions against Russia which is turning out to be nothing short of shooting themselves in the foot. 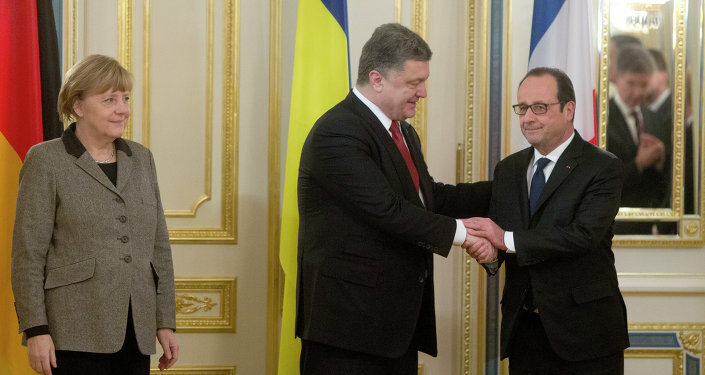 So, Merkel and Hollande have to negotiate for a sensible settlement of the impasse, they are visiting Moscow today. While Kerry and Nuland keep convincing everyone to look at the social media for evidence about Russia’s incursions into Ukraine. Have you heard about the CIA organized trolls and the recent reactivation of the British Chindits? 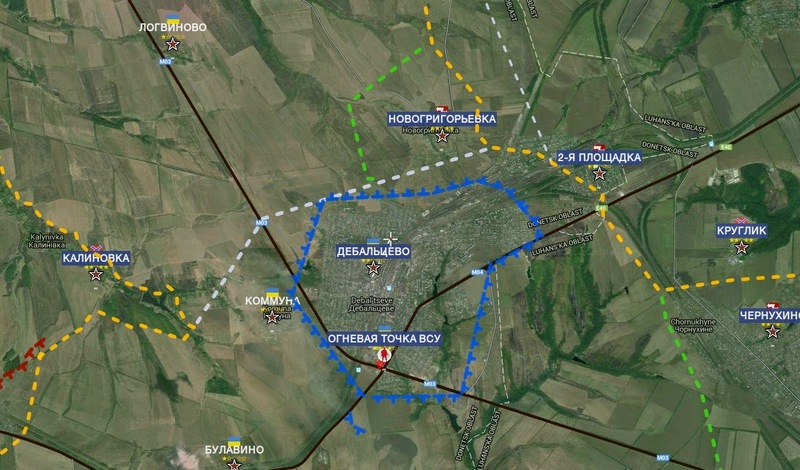 Ukraine SITREP: Debaltsevo cauldron finally closed? This time this sure looks official: the Russian TV channel REN-TV has announced that the Debaltsevo cauldron has been finally closed, just north of the city of Debaltsevo itself and not further north up the highway where this had been expected. The same reports say that the DNR and LNR forces met, so we are not talking about holding the highway under direct artillery fire anymore, but about Novorussian forces actually digging in across the highway and truly closing it down. Earlier this evening, Colonel Cassad was reporting the highway still not closed, but if you look at his map, you can clearly see the location where the two forces apparently joined a few hours later (right over the word ДЕБАЛЬЦЕВО). On this map the Novorussian units have still not closed the cauldron. Weird. My gut feeling that the cauldron has probably been closed. My guess is that the junta was so concerned about this that it sent two SU-25 to provide close air support to the surrounded junta forces (both aircraft were shot down). This was probably a last desperate attempt to prevent the cauldron from closing. No major developments elsewhere along the line of contact. DONETSK, February 5. /TASS/. Commanders of the self-defence forces of the self-proclaimed Donetsk People’s Republic have made a proposal to the Ukrainian Armed forces to fully stop combat actions as of 09:00 hours Moscow Standard Time on Friday, February 6. 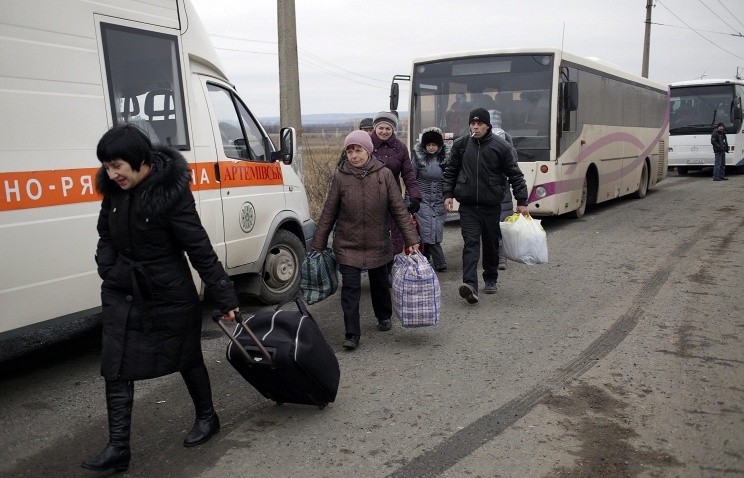 This would enable the warring sides to create a humanitarian corridor in the town of Debaltsevo, by which civilians would leave the dangerous place, Eduard Basurin, the spokesman for the DPR Defence Ministry said late night Thursday. Top commanders of the Ukrainian Armed Forces accepted the proposal and confirmed their readiness to cease fire as of Friday morning. The French president and the German chancellor are set to visit Moscow on Friday after a trip to Kiev, in order to find a peaceful solution to the escalating violence in Ukraine, the Kremlin has confirmed. “I can confirm that indeed tomorrow [Friday] Putin, Merkel and Hollande will have talks. The leaders of the three states will discuss what specifically the countries can do to contribute to speedy end of the civil war in the southeast of Ukraine, which has escalated in recent days and resulted in many casualties,”Russian presidential spokesman Dmitry Peskovsaid. Merkel and Hollande are slated to meet with Russian President Vladimir Putin in Moscow on Friday. 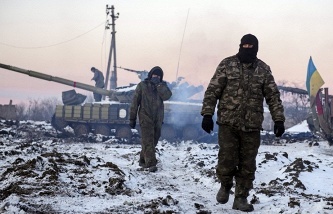 West and Kiev continue to accuse Russia of having troops in the conflict zone in the East of Ukraine. However, so far no evidence has been provided. 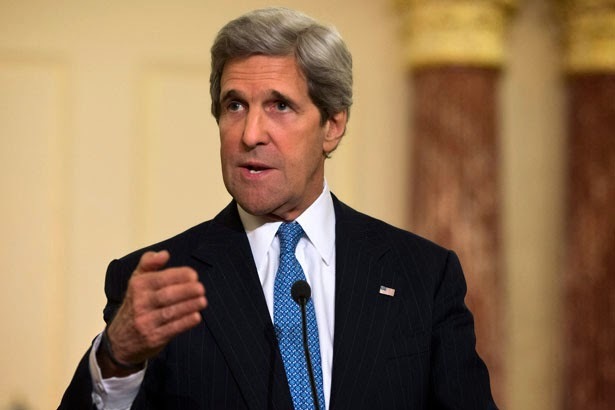 Today during the press conference, US Secretary of State John Kerry was also unable to answer the question about the evidence of participation of the Russian military in the conflict in Donbass, and suggested to look for it n social networks. Today during a joint press conference with Ukrainian Prime Minister Arseniy Yatsenyuk in Kiev, the head of the U.S. Department of State, John Kerry, again failed to answer the question if there is strong evidence that Russian soldiers are involved in the conflict in the East of Ukraine. Instead, he invited the journalists to look for it online. Warfare is a constantly changing landscape, from the weapons that are used to the battlefields they’re fought on. Amidst mountains of Snowden leaks from the NSA and GCHQ, it’s no longer a mystery that the digital warfare is advancing quickly, and the British Army just upped its digital artillery. The original Chindits [77th battalion] were a guerrilla unit led by the swashbuckling British commander Major General Orde Wingate, one of the pioneers of modern unconventional warfare. They operated deep behind Japanese lines in Burma between 1942 and 1945 and their missions were often of questionable success. These Facebook warriors will be using similar atypical tactics, through non-violent means, to fight their adversary. This will mainly be achieved through “reflexive control,” an old Soviet tactic of spreading specifically curated information in order to get your opponent to react in the exact way you want them to. It’s a pretty tricky trick, and the British army will be doing just that with 1,500-person (or more) troop using Twitter and Facebook as a means to spread disinformation, real war truths, and “false flag” incidents as well as just general intelligence gathering. The 77th battalion will reportedly begin operations in April. Britain is far from the only country making a social media-focused investment. The Guardian notes that the Israel Defense Force (IDF) used 30 different social media sites in several different languages during Operation Cast Lead in an effort to “engage with an audience we otherwise wouldn’t reach,” says an IDF spokesperson. ISIS is also annoyingly adept at recruiting through social media and its sympathizers have hacked the U.S. military’s social media accounts, including U.S. Central Command. A single day of warfare in eastern Ukraine drains the nation’s ailing economy of millions of euros, the Ukrainian president told German media. Poroshenko is asking for money and arms, but so far no European state has agreed to supply weapons to Kiev. Former US presidential candidate Ron Paul has posted his thoughts on the US shipment of lethal aid to Ukrainian soldiers, and the familiar role of American interventionism. On the Ron Paul Institute’s website Wednesday, the former congressman listed several of his concerns with the Obama administration’s plan to arm Ukrainian fighters. Among them, that this newest example of American entanglement comes at the expense of US taxpayers, something that Ukrainian President Petro Poroshenko has “no doubt” will be carried through. “Of course it’s all to stop ‘Russian aggression’,” Paul writes. Maybe Mr Putin can drop the Nazis off by using the Cabal tactics and use a United Nations plane to drop on the UN!